The film follows the exploits of a young swordsman, Talon (Lee Horsley). Working as a mercenary knight, Talon possesses a unique three-bladed sword which fires its two extra blades when he touches a button. By chance, Talon learns that he is a prince who has forgotten his royal heritage. 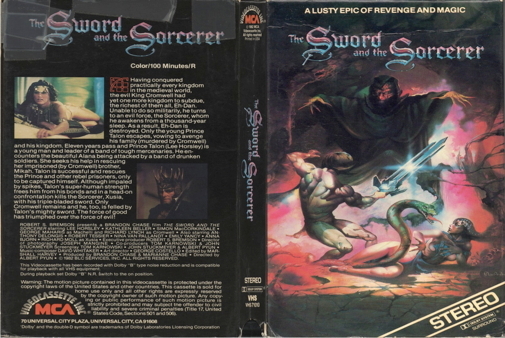 Using his sword and his wiles, he attempts to regain control of his kingdom, which has been taken over by a sadistic tyrannical knight and an evil sorcerer. In doing so, he can save a princess who has been taken hostage by the usurpers. Comedy is interspersed with gory and licentious drama throughout the film, which was directed and written by Albert Pyun.